So over the past 6 months or so, we've built quite a few projects on the Parse platform. We generally do this when client apps don't require a complex, custom built API. Parse can help you stand apps up very quickly, and help reduce development costs greatly. Once the apps were released, we noticed our clients all asked us one common question: "How can we export our users' email addresses from Parse?" 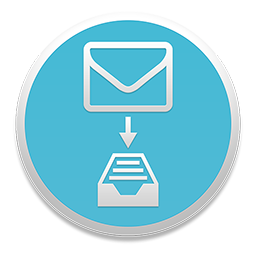 Many of our clients using MailChimp, needed access to their users' email addresses in a format that easily imports. CSV comes to mind. 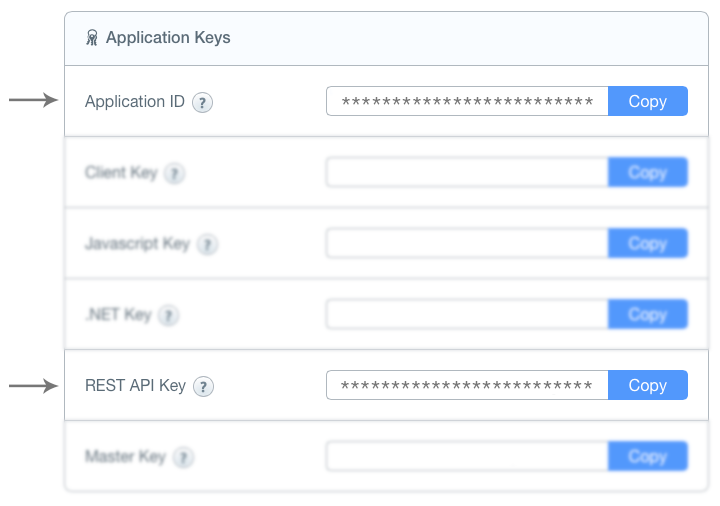 To use, simply enter your Parse App ID and REST API Key (get them from your Parse dashboard as seen below), click Fetch User Email Addresses. Once they're fetched, hit Export CSV to Desktop, and voila! 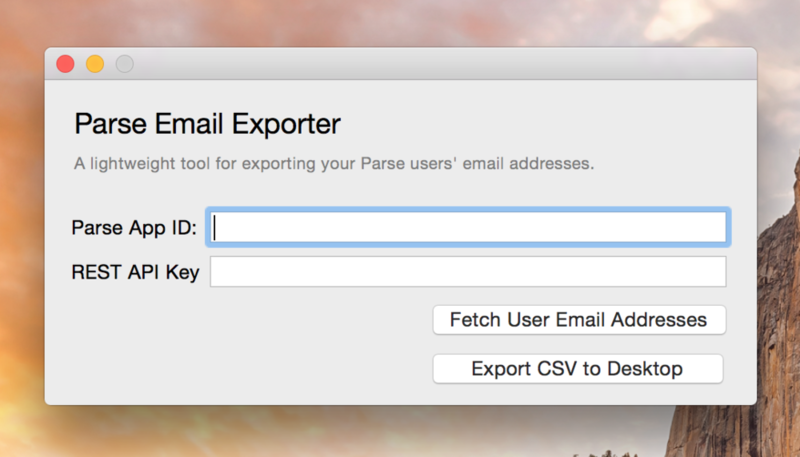 You now have all of your Parse users' email addresses in CSV format, on your Mac Desktop. Hopefully this tool will be of use to some of you developers out there. Thanks for reading!